Thank you for your effort. I like your site very much because I have English and Chinese translation. I live in Bne, where I can get 食用臭粉（edible ammonia powder)?? Great, if you live in brisbane, you must've known Yuen's 袁氏, Market Square. I got it from there. Thank you for your help. I'll try and let you know the result soon. I love polo bau a lot. I remembered that when i was about 11, i went to hk for a vacation. on the last day, my parents decided to take a walk on the streets in hk at about 7am in the morning. i had to tag along and i was pretty hungry. so, my mom decided to get me a polo bau from kam wah cafe to stop me from whining. it was then, i had the best polo bun ever! i guess everything tastes better when you are hungry but it is so unforgettable! since that moment on, i have loved polo bun. loved it even more when prince de la bun came out! mcdull is so cute! Hi Christine, thanks again for sharing such fabulous recipes with us! I live in the UK and I have searched high and low for cooking ammonia here with no success. I read on the web that it is replaceable by baking powder. Do you have any feel how the quantity would work? Since I don't have a scale, i cannot weigh out each ingredient. In terms of the amount of 低筋粉 for the 菠蘿皮, do u mind telling me how many "ml or cup" will 125gm be if i use a measuring cup? Thanks. In the third step, you said "當麵包機停機，讓麵團留在麵包機中，進行第一次發酵，直至麵團發大兩倍." Actually, how long approximately should I leave the 麵團 inside the bread maker? Or, should I just keep opening the bread maker to check on-and-off whether it has 發大兩倍? Since i don't have a scale at home, i can't weigh out each ingredient. If i use a measuring spoon/cup to measure out the 低筋粉, how much will 125gm be? Thank you. The proofing time varies and depends on how hot the weather is. I just spot the dough and get the feel. I can give you a reference though, it's about 40 minutes to get the dough proofed on my side. You can open the breadmaker to check whether the dough is ready or not. As for your question here, I have no clues. Sorry! P.S: I havent tried it before on the baking.But my husband mixed it with batterrd oyster,it tasted not bad. I bought 食用臭粉 from Yuen's Market. I am questioning the packet Chinese written '臭粉', but the English written 'Baking Powder'. Is it still 食用臭粉?? The one I bought from Yuen's is also written as 'Baking Powder' in English. No idea of why it's so. You might like to refer to this post to convert the measurement: Converting Grams to Cups. 做麵包時, 我一直遇到這個問題: 麵團很黏手, 甚至在工作台上黏得死死的. 有辦法可以避免嗎?? Hi Christine, it is so delighted to have find your blog. I am also an immigrant to Brisbane, only one and a half year. Gradually getting used to here. I was not used to cook in Hong Kong, you know most of us have home helper ^v^, but now cooking becomes my most favourite passtime. Thank you for posting all these good recipes!! Lovely to have you visited my blog and love my recipes. How your 叉燒菠蘿包 went? I haven't had any for ages...very tempting! They are nice except the 菠蘿皮 I have rolled out too thin, still crispy but not as good looking as yours. You could use plain flour instead. Although the texture of the bread won't be as soft as those made by bread flour, it's still good. Hope you will reply. Thank you. i have to use about 700g of bread flour to make the dough(may be is becoz of different machine) and warm the milk up so the dough is warm to activate the yeast. i leave the 2nd fermentation overnight ( and put into oven in the morning so i can have warm bun for breakfast) and the bun are sooo so good. my family loves it and i am real happy, thank you very much! I am so glad that I have found your site. Thanks for posting all these wonderful recipes and your detail explanations of every single step. I haven't tasted a Pineapple bun since I moved to the States 4 years ago. God, I miss home....I have tried so many different recipes but none of them worked, either it came harder then a rock or their tasted a bit like lack of something. Until I found yours last month and so I tried out your recipe yesterday. I also made some custard filling and put it inside the bun. It came out excellent. 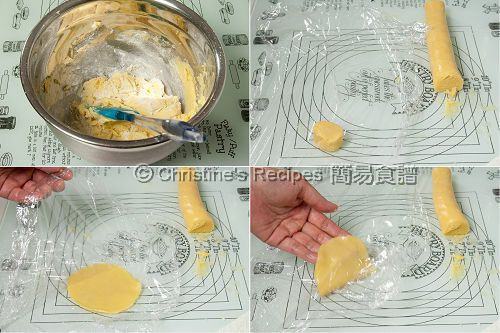 My husband tried the custard pineapple bun while we were in Hong Kong, he got addicted to it since then. I told my sister on the phone about your pineapple bun recipe and she said she could buy it anywhere in HK so why bother to make it. She doesn't understand how bad it is once you are not home!! Even you can buy pineapple bun in China Town here but it doesn't taste the same. I try one for breakfast this morning and it is still soft. It taste like home. Thank you sooooooooo much!! Yes, I'm with you. 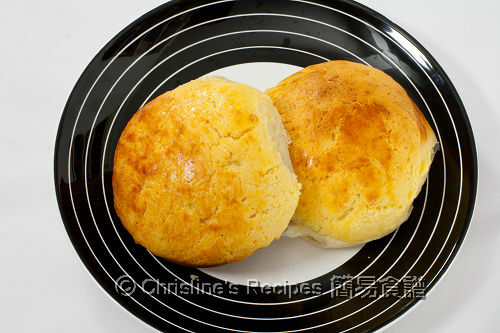 People living in Hong Kong where they can get some pineapple buns on their way to work or home, don't quite know how bad we miss the food of our hometown. I also didn't bother to learn how to make any breads while I was in Hong Kong. As we're living overseas and don't have any decent bread shops around, the only way to ease our cravings is to learn how to make buns by ourselves. After learning to make breads at home, I love love homemade breads more and more. I know what's inside, and have fully control the quantity of all ingredients, including oil and sugar. The tangzhong is a natural and healthy stuff to keep buns soft. Best still, we always have the freshly baked breads straight from the oven. The downsides of making breads ourselves are spending much time, trying with much effort, buying lots of ingredients and utensils. But I think it's all worth it. I'm Claudia from Canada. Love your recipes. Just browsing & found out your pineapple bun recipe, can't wait to give it a try. But I wanna know what is 低筋粉 in English. Thank you. BTW, both of your regular & mobile site don't work very well on my iPod touch, not sure why. I've already typed this comment for 3 times coz it kept knocking me out. Great recipes!! They are so yummy. I had to double the amount. They disappear too quickly. What is the best way to reheat the buns? I couldn't get the topping crunchy like when it first come out of the oven. All your bread recipe were excellent. I specially love this one. Unfortunately, my kids only like the sausage buns. 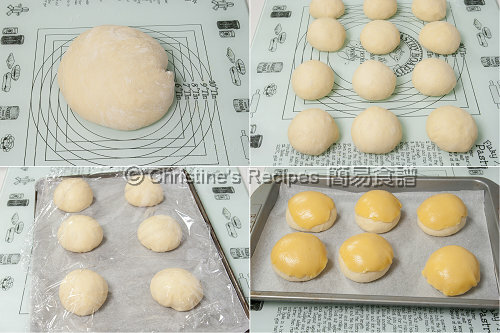 The Pineapple Buns topping is very nice when it first come out. But when I reheat it the next day, it is not crunchy any more. 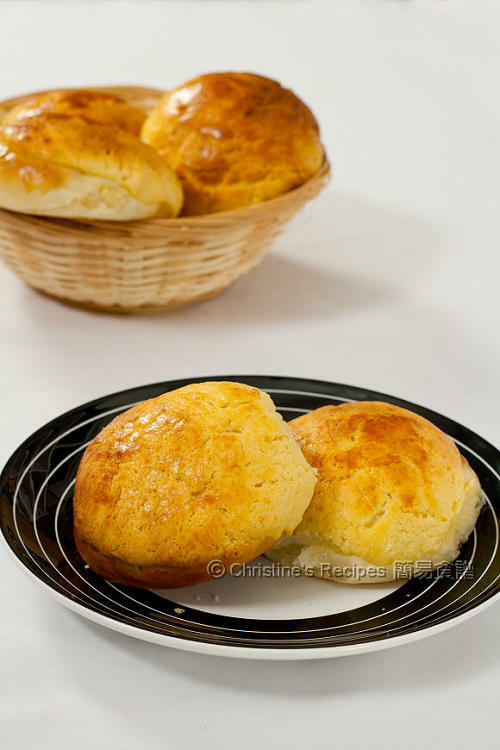 Do you have a good way to reheat the buns without drying it out. 我也不知道 我是按照你写的放 用的是instant dry yeast. 請問如果買不到食用臭粉（edible ammonia powder), 可不可以不加, 或可用甚麼其它代替呢?